Eric Labelle and Chad Patterson competed in their last race of 2016 as part of a competitive field. The two LVA members both successfully achieved some fast 10KM times in a fitting end to 2016. 800m from the start of the 2016 Tannenbaum 10KM. Watch the start of the race with both Eric and Chad in the front group! Eric Labelle and Chad Patterson both finished off their season and year with some fantastic racing. It was a chilly morning but they ran hard on the flat and fast course with results they should both be proud of. 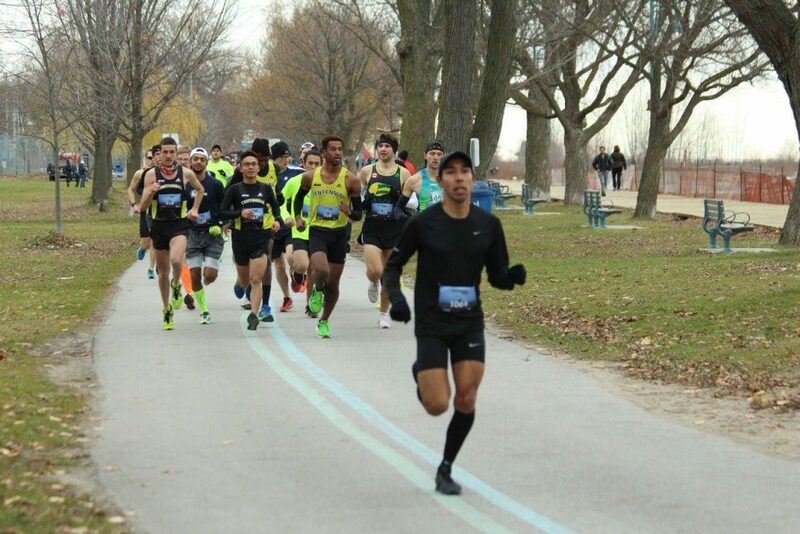 Eric finished 6th Overall setting a new personal best in 33:25.7 for the 10KM distance. 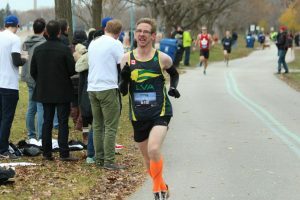 Chad Patterson wasn't far behind in 15th Overall running one of his fastest 10KM times ever in 35:29.6. 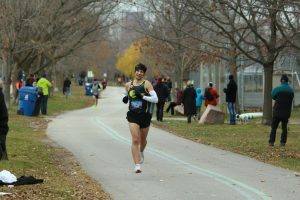 See the complete Tannenbaum 10KM results below. Chad Patterson coming into the finishing chute. Eric Labelle approaching the finish line. Lions Valley Athletics Athletes Chad Patterson, Eric Labelle after crossing the finish line.